A conversation with former LeadingAge CEO Len Fishman about why we must embrace research. This issue of LeadingAge magazine is concerned with research, viewed from many angles. Why should providers adopt evidence-based practices? Should they actively seek to participate in research? What can research offer our field? Will evidence-based practices raise our status in the eyes of regulators and elected officials? We reached out to someone with a long history of experience in aging services, in academia, in research and in the world of policy to put things into perspective. 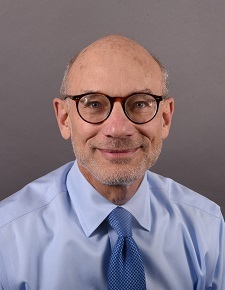 Len Fishman is the director of the Gerontology Institute at UMass Boston’s John W. McCormack Graduate School of Policy and Global Studies. That comes on the heels of 13 years as CEO of Hebrew SeniorLife (HSL), Boston, MA, a LeadingAge member that, in addition to offering the full continuum of services to older adults, also has its own research institute. Before that, Fishman was president and CEO of LeadingAge from 1998-2000, where he oversaw creation of its research arm, which has recently become the LeadingAge LTSS Center @UMass Boston. Fishman was also commissioner of the New Jersey Department of Health under Gov. Christine Todd Whitman, and a health care lawyer in New Jersey and Pennsylvania. LeadingAge: Can you introduce us to the Gerontology Institute? What is its mission? Len Fishman: The Institute was created by the Massachusetts legislature and governor back in 1984, in a remarkable case of governmental foresight. They foresaw the enormous increase in the population of older adults in the state and wanted to prepare for it. The Institute is part of the gerontology program at UMass Boston, and is one of the 2 oldest and largest aging studies programs in the world. The Gerontology Department is where the teaching occurs, and there are masters, doctoral and undergraduate programs there. The Institute is the research, policy and public service arm of the program. This is where research occurs in issues all across the spectrum, including long-term services and supports (LTSS), and there is also a great deal of research around the sociology and psychology of aging. Elder economic security is another major feature of the work that is done here. It’s a very broad landscape of research. We also have 4 centers that deliver services. One is the Pension Action Center, which helps people collect their benefits when they’ve been wrongfully denied. We have a lifelong learning program for older adults in the greater Boston area. We have the Center for Social and Demographic Research on Aging, which does demographic projections and is also very involved in age-friendly communities research. It also issues the Elder Economic Security Index, which is a specific measure of the cost of living for older adults for every county in the U.S. Finally, of course, there’s the LeadingAge LTSS Center @UMass Boston. Putting them all together, it’s one of the largest concentrations of researchers in the country. LeadingAge: You can directly relate to LeadingAge members, having led LeadingAge and having worked in the field for so long. I’d like to ask about your years at Hebrew SeniorLife (HSL), where research is a big priority. Why does HSL put such emphasis on doing research while providing services? Len Fishman: Think about a comparison to the acute care field. If you work at a major teaching hospital, it’s taken for granted that you’re delivering health care, but also that it goes hand-in-hand with doing research and training the next generation of health care professionals. It makes for a very dynamic and exciting environment. Unfortunately, in our field there are very few organizations that have that combination. The reason HSL is committed to research is that, first, there is a desire to improve the quality of life for older adults everywhere. There’s also a recognition that having the research and teaching component makes for a very lively environment; it tends to attract high-quality researchers, but also clinicians and administrators that want to be in an environment where exciting research is going on. On-site training, which often accompanies research, gives staff the opportunity to work with (in HSL’s case) young people who are just about to begin their careers, which the staff and the residents love. While you have very talented people who are part of the social mix, and when you’re doing research and teaching doctors, nurses, social workers and so on, you also have the experience of being with hundreds of young people who are just about to begin their careers coursing through the organization, which the staff and the residents love. So it was a real privilege to be part of an environment like that, and it’s unfortunate that in contrast to the acute care field, there are so few LTSS environments that have that kind of mix. What was interesting to me, and I’ve seen this in other nonprofit LTSS organizations that do research, is that when I arrived [at HSL] there was already a very substantial research center there, but there was some ambivalence about its value to the whole organization. I think there were questions about the amount of resources being allocated. Obviously funding for research meant there was less for other activities, although research also brought in new funds. There was also a misconception that was pretty common among some folks—including some board members—that the researchers were spending all their time figuring out how to make life better for people living in our communities, when in fact in order for them to get funded and rise in their fields, they had to do research with a broader and more distant focus. So part of my job was to explain why research was so fundamental to our mission, and ultimately the way I explained it was that HSL rests on 4 pillars: housing, health care, research, and teaching. All 4 were equally important. Over time, that concept was broadly accepted, but it took some work. I think one of the other things that was very important was to explain the ancillary benefits of the research mission: the quality of individuals we were able to attract, not only to the research center. There were a lot of doctors and nurses, CNAs and administrators who wanted to be at HSL because it stood out; it was a more dynamic environment. And research was the basis for our affiliation with Harvard Medical School. LeadingAge: I think you would agree with many people who believe there’s a need to adopt evidence-based practices in our field. What are the challenges providers have in reaching that goal, while busily putting out fires in other areas as well? Len Fishman: That’s the single biggest issue, which is that in order to conduct research or even be knowledgeable about research that is out there, you need time. In our field, with management structures being so flat in comparison to other fields, it’s very difficult for people to make the time to participate in research or even keep abreast of changes that are happening. I think interest in research goes hand-in-hand with the desire to improve quality. One goal LeadingAge members have in common is the desire to improve quality of life for people they serve, family members and their employees. If you are trying to improve an aspect of your organization, whether it’s reducing falls or avoiding unnecessary hospitalizations or readmissions, or using housing as a platform to provide cost-effective health care services, chances are you aren’t the first person to be thinking about this. Very often there is a body of knowledge you can tap into that will point the way for making progress. One of the things I think is ennobling about research is that it’s an optimistic undertaking; it’s based on a belief we can improve the way things are, and it also embodies an outlook on life that is very important and almost spiritual. At HSL while I was there, there was a doctor who was in charge of post-acute care. She was not a researcher, but she did receive funding that was directed at mid-career people who wanted to step back from their jobs for a few hours per week and do some research. She wanted to figure out how to reduce readmissions to hospitals in post-acute care. This was before Obamacare, before the penalties for hospitals with excessive rates of readmissions. She was ahead of the curve. She was a wonderful studier of people, and realized if she was going to make change, everyone had to be involved, from nurse aides to pharmacists to physicians, and in some cases even family members and people who had had unfavorable experiences in the unit. She did a survey of employees who worked in that unit before she began the program. One question was (I’m paraphrasing), if you were to acknowledge that you had made a mistake, are you concerned that you would be punished for it? A stunning percentage of employees answered yes. It was very disturbing to me because I thought we had an environment that was not punitive, and where employees would be comfortable acknowledging errors they had made as part of the quality improvement process. She initiated changes based on looking at data, examining cases where things had gone wrong. She would do stand-up sessions every week for half an hour—the room was packed, and it was a complete cross-section of people. Over time, people became comfortable acknowledging mistakes. I remember one doctor, who had only been there 3 weeks, who admitted a mistake in giving a medication order. And I used to come out of these sessions almost in tears, because it was an environment that was unlike almost anything I’d ever been in. People had, over time, embraced this mission of improving quality, and had come to believe that acknowledging errors would not lead to punishment but rather to examination and reflection and an effort to improve. A year after starting this [the doctor] did the survey again and the results had flipped in terms of people’s perceptions about acknowledging errors. Readmissions had gone down significantly as well. Obviously reducing readmissions was the most important thing, but for the people who worked on that unit, the team-building aspects of that work, and the change in how they felt they were being treated as members of the team, were really profound. Now that doesn’t always happen, of course, but part of what research is about is trying to strip away the things that get in the way of honest examination, assessment and improvement. That’s a really healthy thing for human beings to do. This project has always stayed in my mind as an exemplar of how participating in research can benefit us. LeadingAge: You’ve got experience in the policy world too, as Commissioner of Health and Senior Services for the state of New Jersey. How do regulators feel about research in our field? Does good research raise our status in their eyes? Len Fishman: Yes, there’s no question. When I was at LeadingAge, one of the reasons I was so eager to bring Robyn Stone on board is that I came to believe that having a research component was essential to increasing policymakers’ respect for LeadingAge, and the same is true for the members. They are in a much better position to make a case for change with regulators and elected officials if they can produce evidence in favor of a position. They are also likely to be much more sophisticated about what is going to move regulators and public policy makers. Even though we’re living in a time when the sanctity of truth is diminished in the eyes of some, research findings are still extremely important in either supporting or changing policy. It doesn’t guarantee that things will change, but it’s hard to change things without a substantial body of research behind it. LeadingAge: Would it be safe to say that you believe our field needs to be doing a lot more of it? Len Fishman: The short answer is yes. But the conundrum is that it’s difficult for many members in our field to participate because the bandwidth isn’t there. But for those who can, it is absolutely essential because there are so many things that LeadingAge members know about and care about that are not nearly as obvious to anybody else, so research that is embedded in our membership, or at least research in which our members participate, is extremely important. LeadingAge: Would more and better partnerships with higher education help to solve that problem? Len Fishman: It would help. When you’re looking at a research center like HSL has, in order to have that kind of center in place, you need outstanding researchers. They have many choices of where to go, and the amount of financial support available to them is extremely important, especially when you’re competing with other entities like hospitals that have much better resources. For most providers, the most practical way to get involved is to look for partnerships with entities already doing this kind of research, who are looking for environments where they can do the types of research they’re engaged in. One great advantage of the LeadingAge LTSS Center @UMass Boston is its connection to thousands of members around the country, many of whom are willing to participate in research trials and share findings with other members.